The Nut Case: Do They Have Too Much Fat? Nuts have long had a bad rap for being high in fat and calories, prompting weight-conscious runners to relegate nuts to their lists of forbidden foods. But as researchers take a closer look at walnuts, almonds, and other nuts, they're discovering these delicious, crunchy foods are packed with vitamins, minerals, and antioxidants. And that fat we were so wary of? Turns out it's good for our hearts—and our running. That was the conclusion of the Food and Drug Administration (FDA), which released a qualified health claim in 2003 that states eating 1.5 oz. (about a handful) of nuts a day may reduce the risk of heart disease. That's because most of the fat in nuts is monounsaturated and polyunsaturated, which have been shown to lower levels of LDL (so-called "bad" cholesterol). "These fats are important for runners because they have an anti-inflammatory effect on the body," says Nancy Clark, R.D., "and can help repair tiny muscle injuries that create inflammation." Not just any nut will do, however. The FDA includes six nuts in its qualified health claim, but a few others didn't make the cut, including Brazils, macadamias, and cashews. 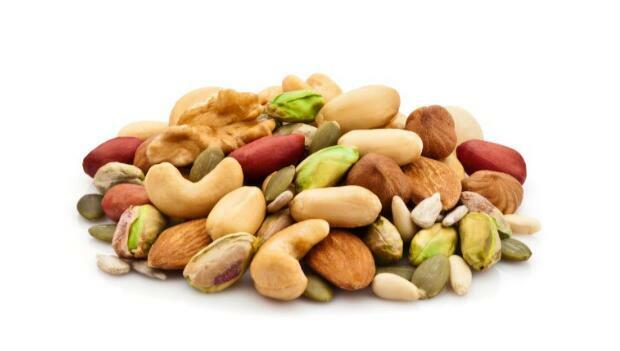 These nuts have relatively high levels of saturated fat, which over time can clog arteries and lead to heart disease. It's also a good idea to steer clear of pre-packaged nut mixes, which are often coated in oils and salt. Instead, buy the following types of nuts raw and toast them in the oven or on the stove top to bring out their full, rich flavor. How: Add walnut oil to salad dressing or use crushed walnuts to make a pesto sauce. Saute hopped walnuts and mix into taco meat for added crunch. Why: A recent study found that the fiber in almonds actually blocks some of the nut fat from being digested and absorbed. Participants also reported feeling satisfied after eating almonds, so they naturally compensated for the calories in the nuts by eating less during the day. One serving of almonds provides 35 percent of the daily value (DV) for vitamin E, a powerful antioxidant that may help protect against diseases such as Alzheimer's. How: Add almonds to your breakfast cereal or yogurt. Mix into chicken salad, or indulge in a few dark chocolate-covered almonds for a double boost of antioxidants. Why: Peanuts are technically not nuts. They're legumes. Peanuts belong to the same family as beans and peas. They have a low glycemic index, which means they're digested slowly and help maintain a balanced blood-sugar level. Peanuts also contain resveratrol, the same phytochemical found in red wine thought to protect against heart disease.